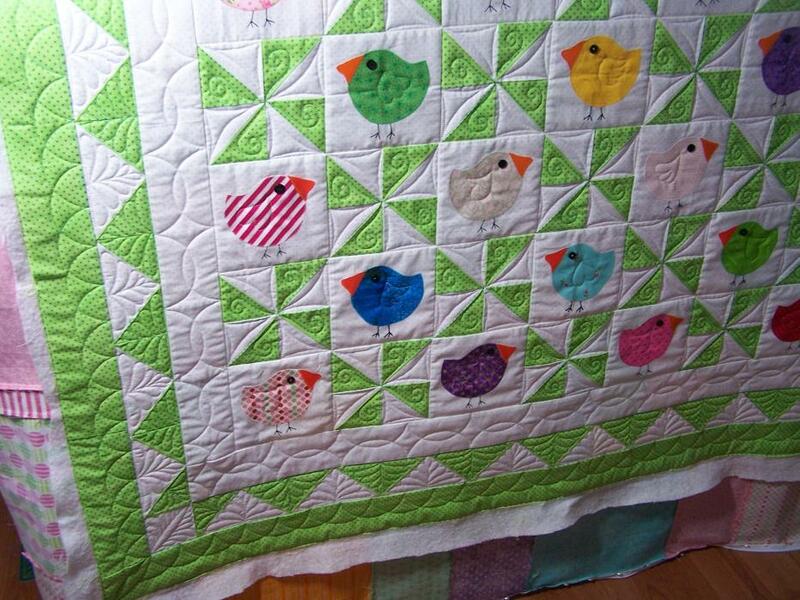 That quilt is too cute! I really love it! Love it!!!! 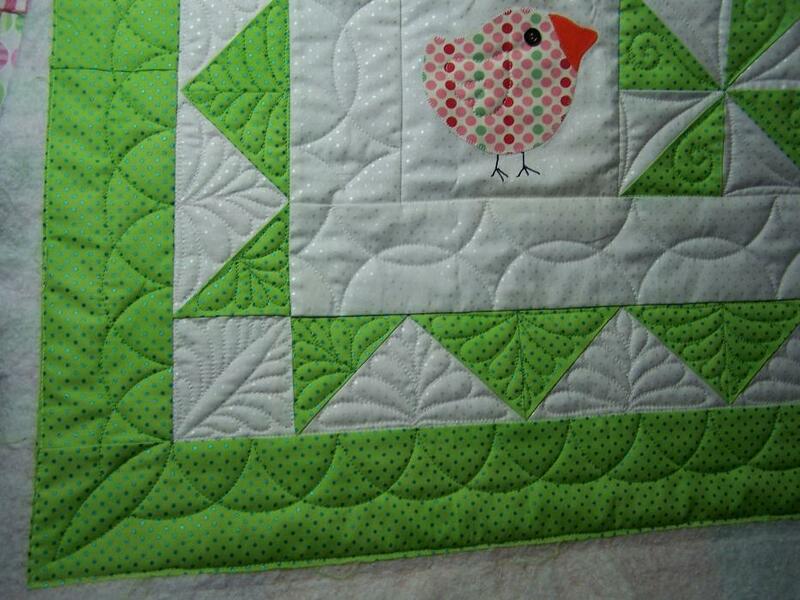 The chickies are so bright and cheery and your work is smashing!!! I love it. It has so much more personality now, thanks! 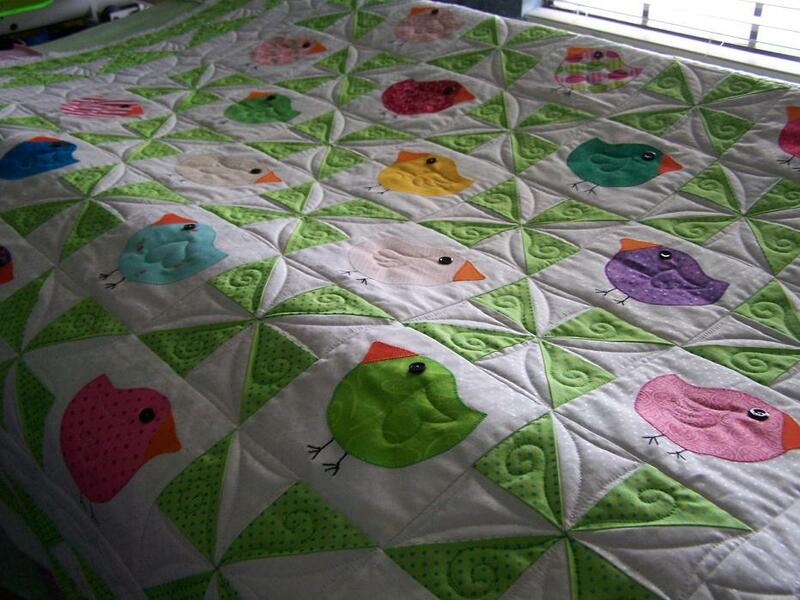 That is a very cute quilt and you have done a lovely job with the quilting. 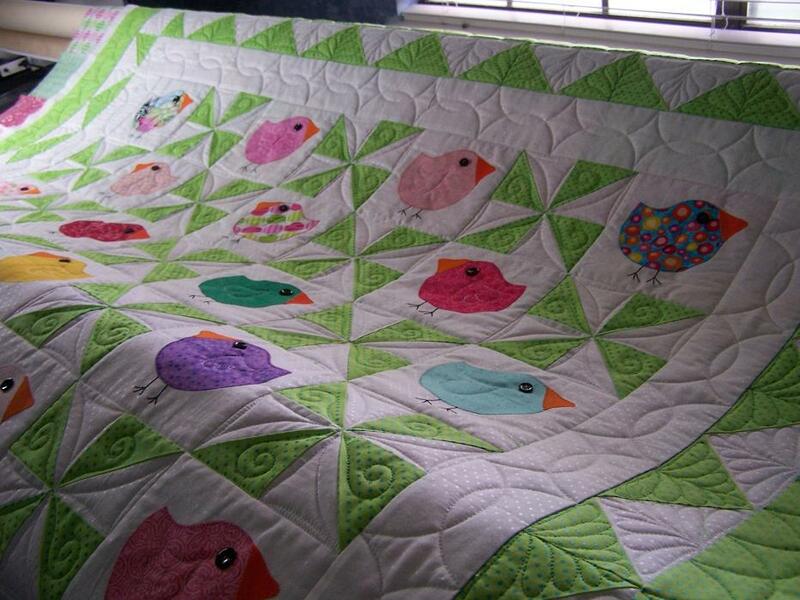 What a happy quilt and perfect quilting! Your work is so beautiful, it always moves me. Lucky baby! 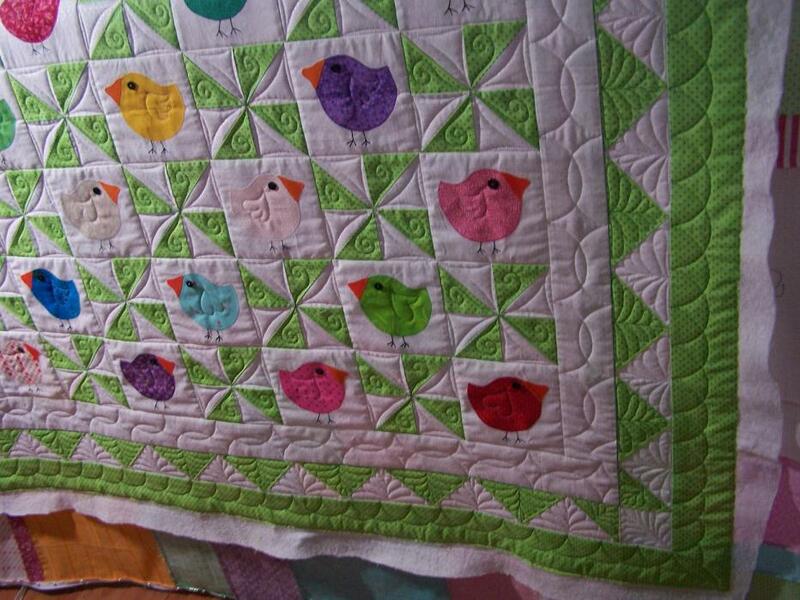 The quilting is clean and fresh and fun, Randi. Mother will receive lots of “oh, how cute!”. 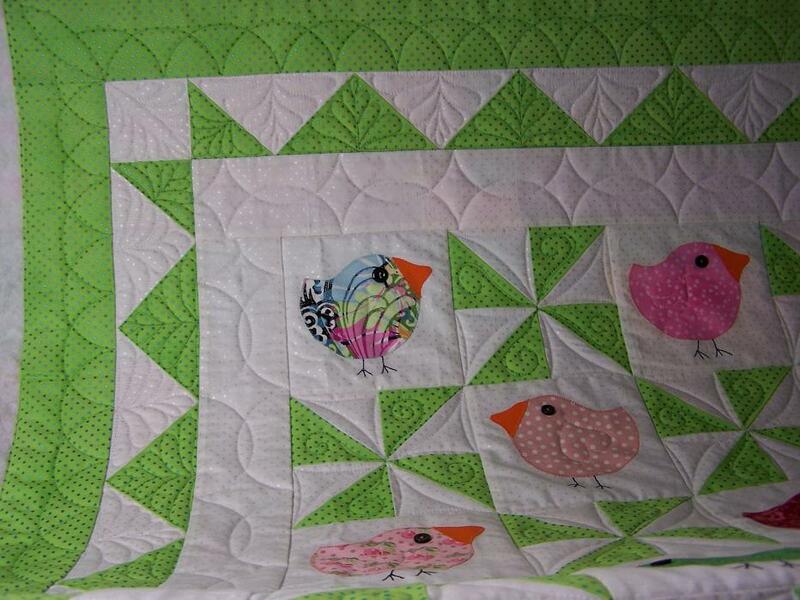 I absolutely love how you have quilted the pinwheels. What a pretty job you did on this one! 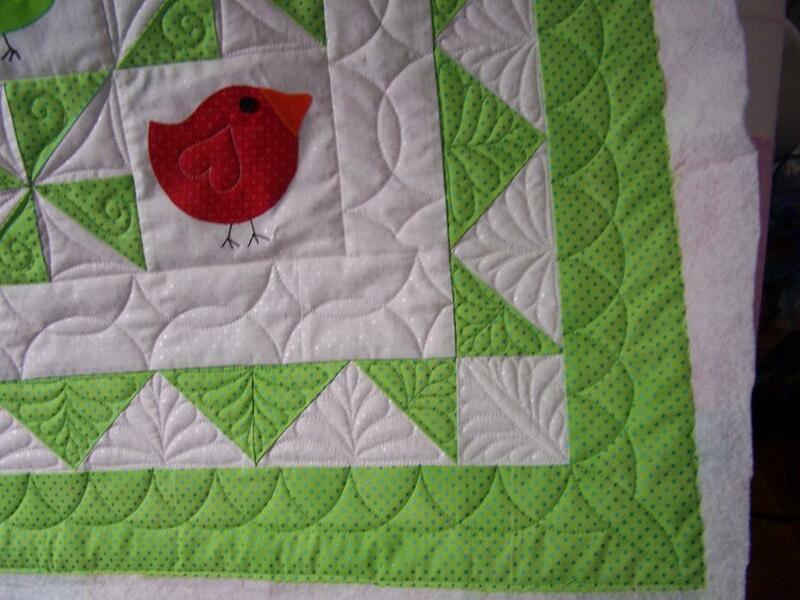 You nailed the style of quilting it needed. Wish it was coming to me!